It’s my understanding, you cannot do for others or the Earth, without first doing for yourself. Everything ripples out from there. Which is why I’m so excited about these yoga peeps in New York City. Doing yoga, dancing, raising their vibration, and rippling that out to the world. That is truly where all of the healing of Planet Earth begins. 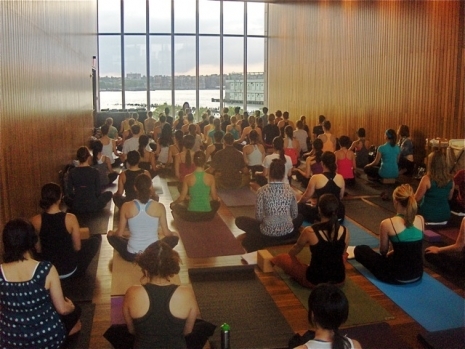 Here’s what Social Workout wrote about this gathering, “Earth Day celebration at The Standard, produced by our friends at?Flavorpill: Note the wood-paneled “Highline Room” above, with picture window looking out at sun setting over New Jersey. That’s Elena Brower of?Virayoga fame at the front, talking about the the Hindu goddess?Kali. After deep savasana, a crowd of conga drummers files in with deejay. 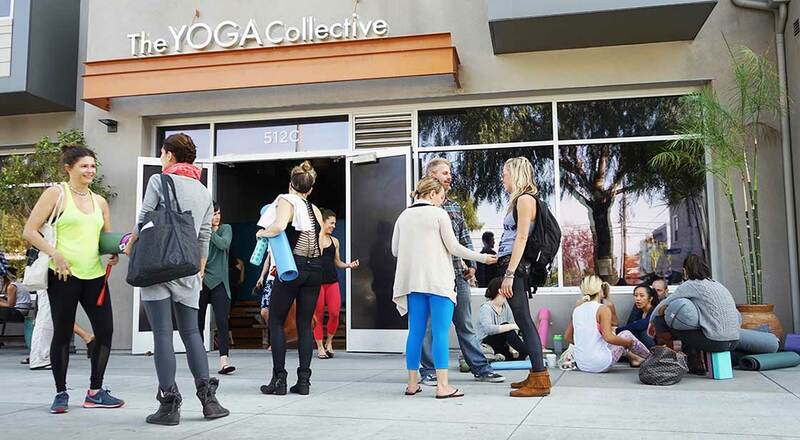 Ensued: Yogis dancing barefoot, drinking coconut water, and eating organic chocolate. Meanwhile, downstairs in the biergarten, well-dressed financiers drink wheat beer and eye the various Ferraris left casually at the curb”. I’m stoked that practicing yoga in a beautiful venue, with an awesome yogin (Elena Brower), is just as popular, as sipping cocktails and Ferrarris. Therein lies a shift. Peace, and Happy Earth Day.